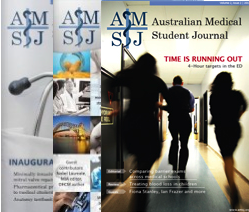 Samantha is a fourth year medical student at the University of New South Wales. She is currently completing an honours year, undertaking research in the field of limbal stem cells. She serves as the undergraduate representative on the UNSW University Council and as the ILP/Honours representative on the UNSW Medical Society. She is a keen traveller, bungy-jumping novice and appreciates the quirky side of life. Whilst a number of factors contribute to Australia’s rapidly rising obesity rates, the role of fast food companies in addressing the epidemic remains controversial. This report discusses the contribution of fast food companies to high obesity rates, explores the notion of corporate social responsibility, and discusses a range of government policies that could be implemented to limit the contribution of fast food chains in promoting obesity. Obesity is a major concern in Australia, with 62.8% of the adult population termed overweight (35.3%) or obese (27.5%). Multiple factors contribute to these rising statistics, and whilst fast food companies undeniably contribute to obesity, defining the exact role that they play and their responsibility remains controversial. Whilst difficult to numerically define, previous studies have offered various definitions of fast food, broadly defining it as food purchased from cafeterias, restaurants and ‘big brand’ companies (such as McDonalds) that are high-calorie and low in nutritional value. [2-4] Food produced in restaurants, for example, is at least 20% higher in fat-content than the home-cooked equivalent. It has now been over a decade since the infamously termed ‘McLawsuit,’ in which a group of overweight children in America filed legal action against the McDonalds corporation for their obesity-related health problems, first bringing the issue of corporate responsibility to a head. Increasingly, now, trends are towards increasing regulation of the fast food industry, with recent debate over a fat tax in Australia,  and New South Wales enforcing nutrition labelling of fast food products. The obesity epidemic continues to contribute to the morbidity and health expenditure of many developed countries, with minimal resolution on the role that fast food companies should play in tackling it. The complex array of factors contributing to obesity makes the issue of responsibility a difficult one. Australia’s obesogenic environment comprises multiple factors, such as increasingly sedentary lifestyles, poor education regarding nutrition and the accessibility of fast food. In this respect, fast food companies, government and the wider community are all stakeholders with differing degrees of responsibility. Fast food companies are considered a key stakeholder in contributing to Australia’s obesogenic environment. This is attributed to factors such as their large portion sizes, and marketing ploys that intensively promote the accessibility of unhealthy snack foods and target vulnerable groups such as low-income earners and children. These factors make it difficult for consumers to make informed choices and resist unhealthy options, ultimately contributing to overeating and excess body weight. Establishing a causal link between fast food companies and obesity is difficult due to the complexity of the relationship. An analysis by Chou, Rashad and Grossman (2005) indicated that a ban on fast food advertising would reduce the number of overweight children by 10% in the 3-11 year age group, and by 12% amongst 12-18 year olds, suggesting a causal component to the relationship in this vulnerable population group. Accessibility of fast food outlets is also a contributing factor, with Maddock and colleagues (2004) showing that there is a significant correlation between proximity to fast food restaurants and obesity. Furthermore, ever-increasing portion sizes also provide evidence for the influence of fast food companies on obesity; with Young and Nestle (2002) noting that portion sizes have paralleled the increase in average body weight. Whilst some claim that fast food companies simply respond to consumer desires, and that the average consumer is well aware of the obesity epidemic, it can be argued that they are still partly responsible by providing and promoting this supply. In the context of Australia’s obesity epidemic, CSR policies in the food industry may have varied impacts. Fast food companies, at a time of increasing obesity rates, may see an opportunity in utilising health policy to establish consumer goodwill and brand value, creating a profit-driven incentive to engage in obesity prevention. Self-motivation in CSR policy construction could, however, be detrimental to health prevention, with, for example, fast food companies shifting blame from ‘foods’ to ‘sedentarism’ in their marketing, rather than altering the quality of their products. Additionally, as a defensive response to avoid government regulation, the food industry has created an opening for itself in a health and sports promotion role, which, whilst contributing to preventative health programs in the short-term, may in time detract from the conventional governmental role in public health, devolving government of some responsibility without effectively satisfying community needs. In light of steadily increasing obesity rates in many Western societies, a number of governments have implemented policies to reduce the impact of fast food companies in promoting overeating. [26,27] Outlined below are four categories of legislative change and their implications. A ‘fat tax’ would involve taxing foods or beverages high in fat content (other ‘unhealthy’ components such as sugar and salt could also be taxed). It aims to discourage consumers from unhealthy products and offset their health costs with the tax revenue generated. Subsidies for healthy food options are considered less practical with a greater cost-burden for taxpayers. Critics argue that a ‘fat tax’ would disproportionately affect low socio-economic consumers, unless healthy alternatives are made cheaper. Some argue that obese individuals are also less responsive to increased prices than consumers of average BMI, reducing the effectiveness of a tax. A ‘fat tax’ could even exacerbate health problems – a tax only on saturated fat, for example, may increase salt intake, which increases cardiovascular risk. Denmark was the first country to introduce a tax on fat in 2011; however, it has since resolved to repeal the legislation, claiming that it increased consumer prices, increased corporate administration costs, and damaged Danish employment prospects without changing Danish eating habits, reducing the likelihood of this approach being trialled by other countries, including Australia. It should be noted, however, that country-specific differences may have contributed to its lack of success. These include the ability of the Danish population to travel to neighbouring countries to maintain their eating habits despite the government tax, which would not be feasible in Australia. Alternatively, the government could consider combining subsidies for healthy food options with a ‘fat tax,’ as this approach would be more acceptable to the public than a tax alone, and also yield a lower cost-burden for taxpayers than subsidies alone. Whilst it is difficult to define the extent of the role that fast food companies play, there is no doubt that they significantly contribute to Australia’s obesity epidemic through their large portion sizes, low quality food, extensive fast food advertising and high accessibility. 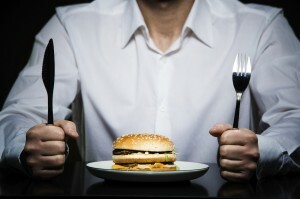 Ultimately, combating obesity will require a multi-faceted approach that denormalises unhealthy foods – a process that requires both consumers and government to take a role in regulating the quality, marketing practices and accessibility of unhealthy products produced by the food industry. Driskell, J, Meckna, B, Scales, N. Differences exist in the eating habits of university men and women at fast-food restaurants. Nutri Res. 2006; 26(10):524-530. Pereira, M, Karashov, A, Ebbeling, C, Van Horn, L, Slattery, M, Jacobs, D, Ludwig, D. Fast-food habits, weight gain, and insulin resistance (the CARDIA study): 15-year prospective analysis. Lancet. 2005; 365(9453):36-42. Duffy, B, Smith, K, Terhanian, G, Bremer, J. Comparing data from online and face-to-face surveys. Int J Market Res. 2005; 47(6):615-639. Seiders, K, Petty, RD. Obesity and the role of food marketing: a policy analysis of issues and remedies. JSTOR. 2004; 23(2):153-169. Mello, MM, Rimm, ER, Studdert, DM. The McLawsuit: The fast-food industry and legal accountability for obesity. Health Aff. 2003; 22(6):207-216. Frewer, LJ, Risvik, E, Schifferstein, H. Food, people and society: A European perspective of consumers’ food choices. Heidelberg: Springer; 2001. Germov, J, Williams, L. A Sociology of food & nutrition: The social appetite. Melbourne: Oxford University Press; 2004. Bronwell, KD. Fast food and obesity in children. Paediatrics 2004; 113(1):132. Young, LR, Nestle, M. Portion sizes and obesity: Responses of fast-food companies. .J Public Health Policy. 2007; 28(2):238-248. Maddock, J. The relationship between obesity and the prevalence of fast food restaurants: state-level analysis. Am J Health Promot. 2004; 19(2):137-143. Young, LR, Nestle, M. The contribution of expanding portion sizes to the US obesity epidemic. Am J Public Health. 2002; 92(2):246-249. McBarnet, DJ, Voiculescu, A, Campbell, T. The new corporate accountability: corporate social responsibility and the law. Cambridge: Cambridge University Press; 2007. Maloni, MJ, Brown, ME. Corporate social responsibility in the supply chain: An application in the food industry. J Bus Ethics. 2007; 68(1):35-52. Guler, A, Crowther, D. A handbook of corporate governance and social responsibility. Fanham: Gower; 2010. Porter, ME, Kramer, MR. Strategy and society: the link between competitive advantage and corporate social responsibility. Harv Bus Rev. 2006; 84(12):78-92. Wood, DJ. Measuring corporate social performance: A review. Int J Manag Rev. 2010; 12(1):50-84. Becker-Olsen, KL, Cudmore, AB, Hill, RP. The impact of perceived corporate social responsibility on consumer behaviour. J Bus Research. 2006; 59(1):46-63. Royle, T. Realism or idealism? Corporate social responsibility and the employee stakeholder in the global fast-food industry. Business Ethics: A European Review. 2005; 14(1):42-55. Peattie, K. Corporate social responsibility and the food industry. AIFST. 2006; 20(2):46-48. Mitchell, C, Cowburn, G, Foster, C. Assessing the options for local government to use legal approaches to combat obesity in the UK: Putting theory into practice. Obes Rev. 2011; 12(8):660-667. Diller, PA, Graff, S. Regulating food retail for obesity prevention: How far can cities go? J Law, Med Ethics. 2011; 39(1):89-93. Carter, OB, Patterson, LJ, Donovan, RJ, Ewing, MT, Roberts, CM. Children’s understanding of the selling versus persuasive intent of junk food advertising: Implications for regulation. Soc Sci Med. 2011; 72(6):962-968. Veerman, JL, Van Beeck, EF, Barendregt, JJ, MacKenbach, JP. By how much would limiting TV food advertising reduce childhood obesity. Eur J Public Health. 2009; 19(4):365-369. Caraher, M, Landon, J, Dalmeny, K. Television advertising and children: lessons from policy development. Public Health Nutr. 2006; 9(5):596-605. McNeill, P, Torda, A, Little, JM, Hewson, L. Ethics Wheel. Sydney: University of New South Wales; 2004. Henderson, J, Coveney, J, Ward, P, & Taylor, A. Governing childhood obesity: Framing regulation of fast food advertising in the Australian print media. Soc Sci Med. 2009 69(9): 1402-1208. Dhar, T, & Baylis, K. Fast-food consumption and the ban on advertising targeting children: the Quebec experience. J Marketing Research. 2011 48(5). Sharma, L, Teret, S, Brownell, K. The Food Industry and Self-Regulation: Standards to promote success and to avoid public health failures. Am J Pub Health. 2010; 100(2):240-246. King, L, Hebden, L, Grunseit, A, Kelly, B, Chapman, K, Venugopal, K. Industry self regulation of television food advertising: responsible or responsive? Int J Ped Obes. 2011; 6(2):390-398. Clark, JS, Dittrich, OL. Alternative fat taxes to control obesity. Int Adv Econ Res. 2007; 16(4):388-394. Tiffin, R, Arnoult, M. The public health impacts of a fat tax. Eur J Clin Nutr. 2011; 65(1):427-433. Martin, T, Dean, E, Hardy, B, Johnson, T, Jolly, F, Matthews, F, et al. A new era for food safety regulation in Australia. Food Control. 2003; 14(6):429-438. Cinar, AB, Murtomaa, H. A holistic food labelling strategy for preventing obesity and dental cavities. Obes Rev. 2009; 10(3):357-361. Sacks, G, Rayner, M, Swinburn, B. Impact of front-of-pack ‘traffic-light’ nutrition labelling on consumer food purchases in the UK.Health Promot Int. 2009; 24(4):344-352. Dunbar, G. Task-based nutrition labelling. Appetite. 2010 55(3): 431-435. Reynolds, C. Public health law and regulation. Annandale: Federation Press; 2004.